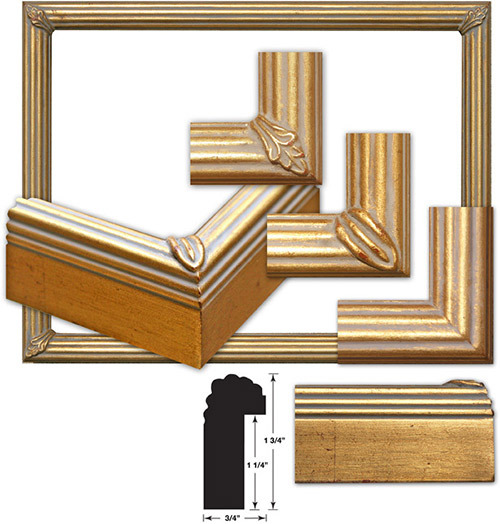 These Fluted picture frames offer a classical look with three different corner motifs, plain, flower or leaf. The finish is a classic gold broken metal leaf with subtle red undertones over solid wood. Rabbet depth of 1 1/4". Perfect for pastel, watercolor, photography, prints, and oils. 9 x 12 shown.